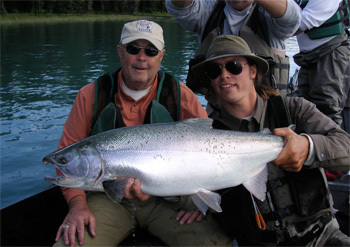 Trip Planning Specialists - your best choice for selecting Alaska finest fishing locations, best lodges, cabins, & guides. Professional and personalized service you can trust. Freshwater and saltwater fishing adventures at locations from the Kenai, to Bristol Bay, Western Alaska and Southeast. 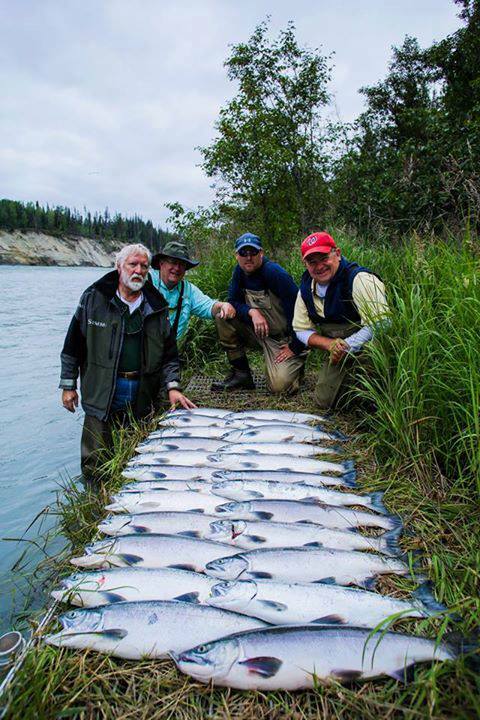 Upscale cabin rentals on the Kenai River at Sterling with superb shore fishing for sockeye (red) salmon. Wi-Fi and Direct TV in cabins.Day trips with guided fishing available. Spectacular private waterfront setting. 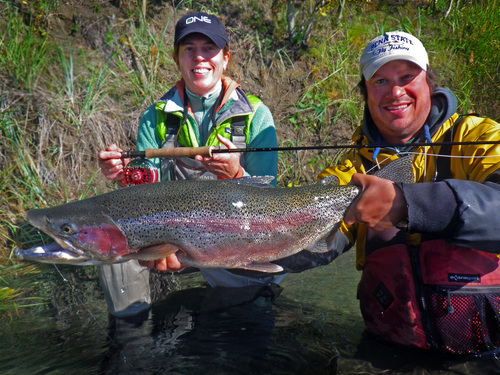 Chase giant Kenai River trout and salmon with Alaska'sDouble Haul Fly Fishing. Join the only certified fly casting instructor currently guiding on the Kenai for your next fly fishing adventure. 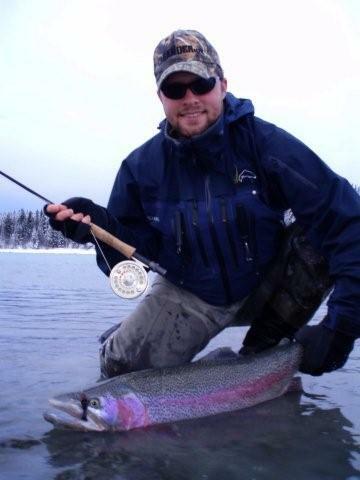 Specializing in trophy trout and salmon on the fly rod, we are your choice for fishing the Kenai. Fishing and lodging packages available. 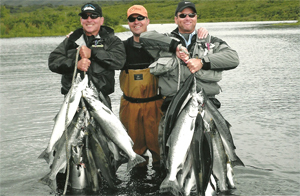 Fishing Guides & Fishing Lodges in Alaska! Book your Alaska fishing vacation with some of the best fishing guides, lodges, fishing charters, and flying services in Alaska. The fishing adventures described below include guided fishing trips, scenic river float fishing, wilderness lodge fishing, saltwater fishing charters, fly-out fishing, deluxe fishing resorts and more; for all species of wild Alaska salmon, trophy rainbow trout, arctic char, giant halibut, pike, grayling, and the exotic arctic sheefish. We offer both guided and unguided fishing trips to the pristine waters of Prince William Sound, the wild lakes and rivers of the Wrangell Mountains and the untamed wilderness of the North Gulf Coast on the Tsiu River. Incredible fishing, outstanding accommodations, and a knowledgeable staff is what sets Northwoods Lodge apart. Fly & spin fisherman will sample fishing only Alaska can provide. Fish salmon, trout, halibut, ling-cod, sea-bass, etc based from this elegantly rustic log lodge with spacious guest cabins, in the Kodiak Islands. Sauna, kayaks, floatplane access, superb local cuisine since 1974. Our remote location on the Southern tip of Kodiak Island insures world-class fully guided fishing for salmon and halibut from the comforts of our full service lodge. Deer hunting, sightseeing and photography trips are also available using our 33 foot, high speed and licensed vessel, the "Alaska Adventure". Ask about our silver salmon fishing. See below picture! Steelhead! Steelhead! Steelhead! Join Double Haul Fly Fishing as we guide you to some of the best steelhead rivers and runs that Alaska has to offer during our spring Steelhead Camp. Located on Prince of Wales Island in SE Alaska, The camp is 7 days and all meals and gear provided. Check out our web page for more information. 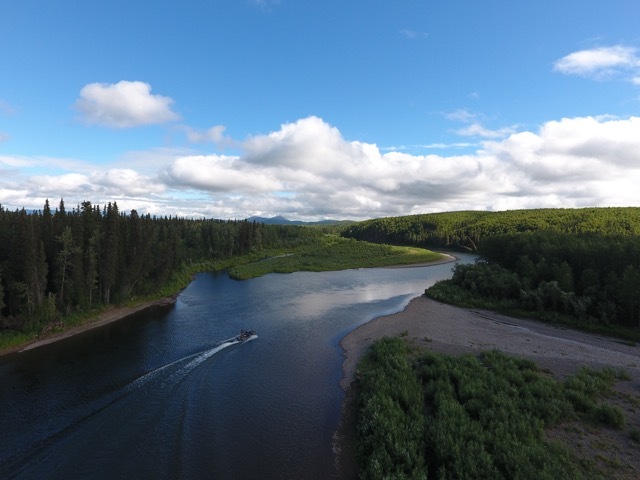 A deluxe wilderness lodge on the Togiak River in the famous Bristol Bay area of Alaska offering world class fishing for: King, Silver, Red, Pink and Chum salmon, as well as trophy sized Rainbow Trout, Arctic Grayling and Dolly Varden. The most remote full service fishing lodge in Alaska. 5-night all-inclusive from Anchorage. Private charter flight, comfortable rooms with private bathrooms, all meals and beverages, daily guided freshwater fly and/or spin fishing pacific salmon, pike, char, grayling and whitefish, housekeeping and laundry, wi-fi and more. Trip Planning Specialists - your best choice for selecting the finest fishing locations, best lodges, cabins, & guides in Alaska. Professional and personalized service you can trust. 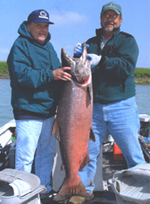 Freshwater and saltwater fishing adventures at locations from the Kenai, to Bristol Bay, Western Alaska and Southeast. The willingness of No See Um Lodge's team to provide the best for their guests - both on the water and at the lodge - have put the lodge in a class by itself. Guides are eager to make your Alaskan fishing vacation successful; their knowledge, enthusiasm and instruction will ensure success for the novice and expert alike. The Alaska Sportsmans Lodge, is a remote sport fishing and fly fishing lodge located in the Bristol Bay area of Western Alaska. This area is the pinnacle of Alaska fishing for five species of salmon (Chinook, Sockeye, Chum, Coho, and Pink) and the largest rainbow Trout. Please contact us about our all inclusive fishing packages.